With Compference17 on the horizon, we’re excited to officially announce the Compference venue location and hotel details for the world’s best compensation event. So ask yourself, what’s better than networking and nerding out with people who love compensation as much as you do? How about networking and nerding out about compensation on a beach? Perhaps in warm and sunny Orlando Florida? If you’re starting to feel the sun rays on your face already, grab your sunscreen and make your way over to the official Compference page to secure your early bird priced ticket. You won’t want to miss out on Compference18 in Florida. Here’s all the details. Compference Venue: PayScale’s Compference 2018 will be hosted at the Walt Disney World Swan and Dolphin Resort® in Orlando, FL. Beautiful tropical landscaping, tranquil waterways and classic art and architecture will provide a stunning backdrop for an inspiring experience. Lodging: The official Compference18 hotel is the Walt Disney World Swan and Dolphin Resort®. Attendees can take advantage of a discounted room rate of $219 + fees/tax available until August 24, 2018. Be sure to make your reservation early as there are a limited number of rooms available. Bonus Points: Each Compference18 Pass includes a one pass day at Walt Disney World® Resort for Friday, September 21st (not transferable). 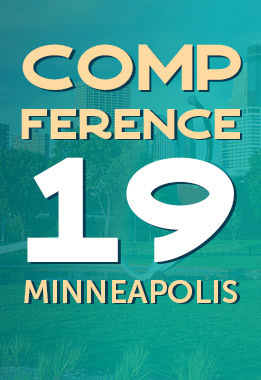 Follow us on Twitter for more #Compference18 news and updates!